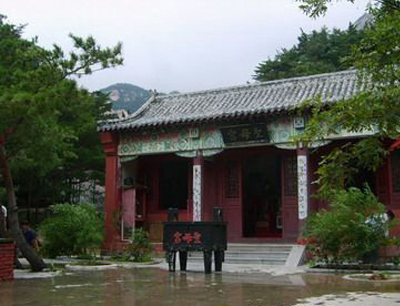 ﻿ rory returned to train kung fu here. 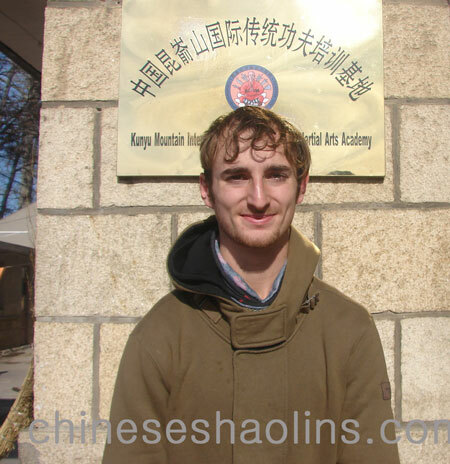 Rory trained for one month in March and then return for another five month shaolin course. 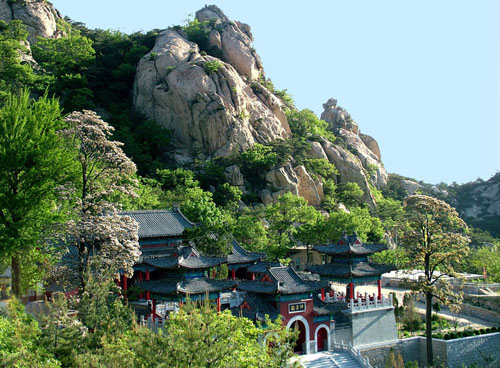 I had previous martial arts experience ,a want for more knowledge motivated me,I chose China as it's the birthplace of most martial arts,so I went to China kunyu mountain. 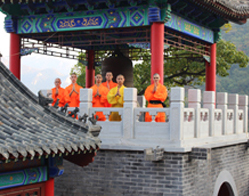 During my time here, I have learnt a lot including the knowledge of Shaolin and the fitness that has come with it. 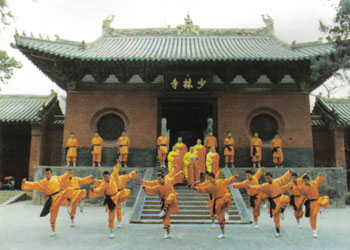 Shaolin Master Gao was a big influence and motivator during my training at Kunyu mountain academy. 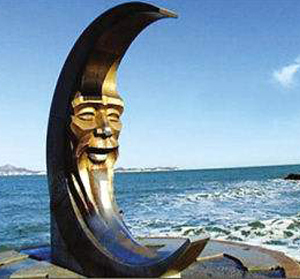 It is generally good to live here, with goal training and easy to talk to translators. It would be nice to have more training classes in the week. 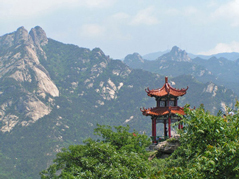 The surrounding air is clean and the mountains are scenic and good for a walk. Going out to the city is a nice change and break from training, though there isn't too much to entertain yourself with. 1- Kung fu is always been my interest since I was young. 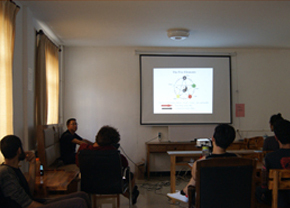 And motivation mostly came from movies and media and online research. 2- I gained good exercise and friends. And know good masters and Chinese Kung fu training methods. Also my optional classes like the DEMOJIAN were amazing for I learned something very beneficial and good for my daily exercises back home. 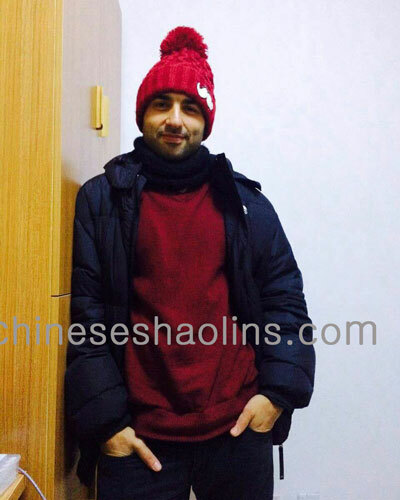 3- My friends, Translators and Master helped me other during my stay. 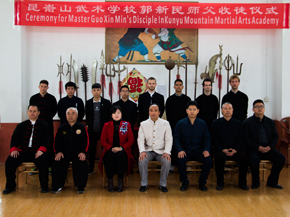 4- I had a good exercise experience and got to know good people plus added to my knowledge of exercises and traditional Chinese martial arts. The food was good to a big extent. Masters are very helpful and knowledgeable. And for training I mostly enjoyed my private classes which will be my Aim for my next visits to study martial arts. 5. As I am a long distance runner I found that the surroundings of the Academy where amazing when having to run in the mountains and roads. The lakes, rivers, traditional people and houses really added a lot to the happiness of my runs and made me feel freedom from a different prospective.